For many of us, physical space dictates the work we present and how we serve our communities. Many artists and organizations have found creative and alternative ways to use theaters, symphony halls and galleries, but what if we abandoned the idea of traditional spaces altogether? Could reaching outside our comfort zone help our work reach more people? Letting go of traditional venues provides an opportunity for the arts to take on a new role in the community – from the audiences we serve and where we serve them to the type of work we present and the partners with whom we engage. Rethinking these aspects of our existence can mean the difference between the arts as an enhancement to a community and the arts as a core component of a community. Last spring, I spoke with Deborah Cullinan, executive director of San Francisco-based Intersection for the Arts, about her organization’s involvement in a new creative development initiative. 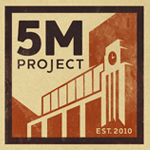 The 5M Project, conceived by developer Forest City and operating under the assumption that development means more than erecting buildings, seeks to be “an open place where people who think differently can access each other’s resources, programs, connections and ideas.” It brings together artists, developers, designers, entrepreneurs, food vendors, technologists, manufacturers and more in a shared vision for a new type of community in which each player not only complements but strengthens its counterparts. Intersection produces and presents multi-disciplinary work but also provides a wide variety of artist services, and they’re taking a lead on the placemaking component of the project, 5MPlaceWorks. The ideas behind Intersection’s experience in becoming part of 5M aren’t just useful to those embarking on large-scale urban development projects. A few years ago, Intersection recognized a need for a new space, but by asking themselves the right questions during their strategic planning process, the organization’s leadership came to realize that they also needed to make a bold change. Why were they encouraging the 501c3 model in a time when the pool of resources for nonprofits is diminishing? Why, after nearly 50 years and with a strong identity in the community, was the organization still not sustainable? What is the change we want to see as a result of our work? Who needs to be on board to create that kind of change? Maybe what they needed was not just a new building, but a new model. They needed to become more integrated with the city, and that meant being at the center of not just their own change, but a broader community change. The Intersection team gradually realized that, at the beginning of their involvement with the 5M Project, they may have played it too safe. While embracing new partnerships and moving into a shared space in the San Francisco Chronicle building, Intersection retained their black box space in the Mission district. Holding onto elements of the familiar may have provided a sense of security during this initial period of change. But they eventually realized that, by keeping this space, they hadn’t been bold enough. In order for change to be successful, the equation has to balance. In Intersection’s case, they had their vision and had taken their first steps, but the discomfort was missing. In order to truly change and move to a new model, they had to realize the need to step out of their comfort zone and acknowledge that visual art and performance can happen anywhere, it needn’t be constrained to a particular type of space. And, in doing so, they discovered a new way of presenting work that engages their existing audience while making it accessible to newcomers. I’ve always felt that arts organizations can’t just produce great work and expect that it will be enough to sustain them, and the field is abuzz with the call for arts organizations to establish and maintain relevance to their communities. Taking this idea a bit further, Cullinan speaks about making the arts a “significant component in the continuum of a healthy community,” rather than just an aspect or attribute of it. But the million dollar question remains: how do you get there? 5MPlaceWorks serves as an example of how to respectfully enter a community in a way that builds meaningful relationships to help not just the newcomers, but the existing residents, artists and businesses thrive. This type of relationship-building helps establish relevance and value in a way that feels organic and sustainable. Instead of seeking out partners who will explicitly benefit them, Intersection approaches potential partners by asking, “What can we do for you?” The result of this approach is that the projects that evolve out of these partnerships are more meaningful and energizing to the community. The community is, in turn, more eager to participate and carry this trailblazing work forward. The quote I initially recalled when thinking about my conversation with Cullinan seemed like a good fit, but Gandhi’s actual words describe so much more accurately how we, as a community of artists, administrators, funders and consumers, can help create a fundamental change in the way art is seen, experienced and valued in today’s society. Intersection’s story is a great example of how we can learn from those who aren’t afraid to embrace the risk inherent in change. In the following video case story, Deborah Cullinan gives us an in-depth look at some of the challenges, lessons and triumphs of managing change. What are some of the ways that you might begin to change the nature and impact of your work so that the attitude of the world around you might change as well? This all sounds exciting and wonderful for San Francisco, but I am not clear how they are paying for this. Have they truly abandoned the 501(c) 3 model? Is Forest City funding this? Are their “partners”? That is a great question, Sydney. We are a mix of nonprofits and for-profits. We have different businesses. Different business models. Different ways of achieving bottom line. Together, we can explore the spaces between and we can lean into each others strengths. This construct provides a lot of room for creativity. Very specifically, Intersection has no intention of abandoning the 501C3 model. Rather, we hope to evolve it, combining traditional fundraising with new ways of earning revenue in line with mission. We look for partners – whether they are for-profit or nonprofit – who can enhance our ability to make the kind of change we want to see in the world. There is a blended value in our model that inspires a shared interest in each other’s success. Sometimes it is joint fundraising with a partner. Sometimes it is direct support from a partner. Our hope is that we can create a sustainable model for 5MPlaceWorks that is supported ongoingly through this new way of thinking about a development project. Feel free to contact me directly if you want to talk more! I am struggling to find any relevant meaning in your opening paragraphs. I don’t think any of the “concepts” introduced have anything at all to do with the arts, but perhaps everything to do with arts organizations and funders. The disconnection between arts organizations and the actual arts keeps growing wider and wider, to the detriment of the arts. Thanks for your comment, SZ. It is true that in many cases there is a very dangerous disconnect between organizations and the arts. That’s why I see Intersection’s work as so inspiring. They are making many changes to their organizational structure and exploring new ways to make the arts a well-integrated part of their community. Our work at NAS is centered around organizational leadership and enabling organizations to best deliver on their missions. While I spent my younger years as a practitioner of the arts, my role now is to encourage strong leadership and practices that will help the arts thrive. To me, the goal of nonprofit arts organizations is to serve the community through the arts, which can be done in a variety of ways – presenting, producing, sponsoring, educating, etc. With 5MPlaceworks, this service is achieved by bringing the arts to the community in a way that is relevant, engaging and accessible. I love all these ideas. I find them fascinating. My question is, how do you apply this to the opening of a new arts organization? If you are the type of person who has that dream, who has that ambition in them…is there a way to apply these changes to building an arts organization of the future? I think one of the greatest things about being a new organization is that you have the freedom to shape what you do around your mission and goals without the baggage (for lack of a better term) of what you’ve previously done. In other words, you don’t have to push past entrenched practices or change methods that are no longer working. You have the clean slate to introduce yourself to your fellow community members and work from the start to establish meaningful relationships that will help your work reach those you wish to serve. One approach might be to start by stating your desired impact. As Deborah Cullinan asks, “What is the change we want to see in the world as a result of our existence?” Then, work backwards to figure out how you might get there. Try creating a logic model for your work that can help you establish outcomes, outputs, activities and inputs based on your desired impact. If you are interested in learning more about logic models, Ian David Moss provides a detailed overview of logic models at Createquity, and we offer a downloadable lesson based on the teachings of Dr. Peter Frumkin over at the NAS site. And in addition to that, if the 5O1c3 is constantly diminishing and not providing enough for the arts…What do we use to get a new organization up and running? There are many ways to serve a community through the arts without incorporating as a nonprofit if that model doesn’t seem right or viable. Fiscal sponsorship (offered by organizations such as Intersection for the Arts, Fractured Atlas and Springboard for the Arts, to name a few) is a good alternative to incorporating that allows tax-deductible donations in support of an artistic project or organization that does not have tax-exempt status. The low-profit limited liability company (L3C) is a newer model that allows profits to be distributed to investors, but where profit should remain secondary to service. With this model, you may find a wider range of investors than the those typically supporting nonprofits. If you don’t feel that your work necessarily needs a formal organizational structure to be successful, there’s always the DIY/grassroots option of gaining support through crowdfunding sites such as Kickstarter. Or, you could seek out a community organization with similar goals and find a way to collaborate with them. Organizations such as Alternate ROOTS offer assistance and guidance for this sort of collaboration through initiatives like their Community/Arts Partnership Program. I’m curious to hear what options others have tried or would recommend, too. Theresa Remick is particularly interested in exploring meaningful ways to engage audiences in an effort to establish relevance and create value and enjoys working with young leaders who share her passion for creating a sustainable arts and culture sector. Theresa is happiest on top of mountains, surrounded by trees, experimenting in the kitchen and adventuring with her dog, Basil.